When sending a single book or a group of them special care has to be taken to insure that they survive the journey, whether short or long. 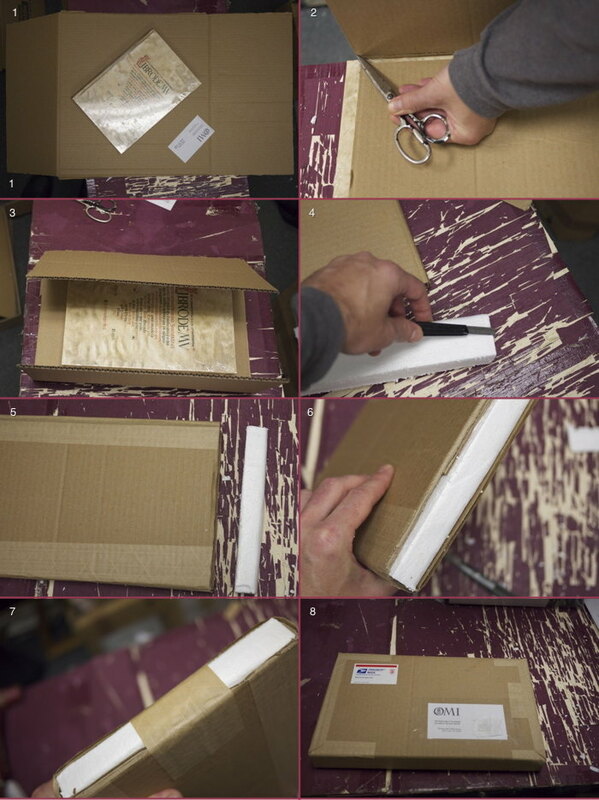 The inner contents should be completely impervious to moisture and the cardboard or box of the parcel should be strong enough vis-è vis the weight of the book, and be "fortified" with extra insulation to be able to protect the book from any blows during shipment. 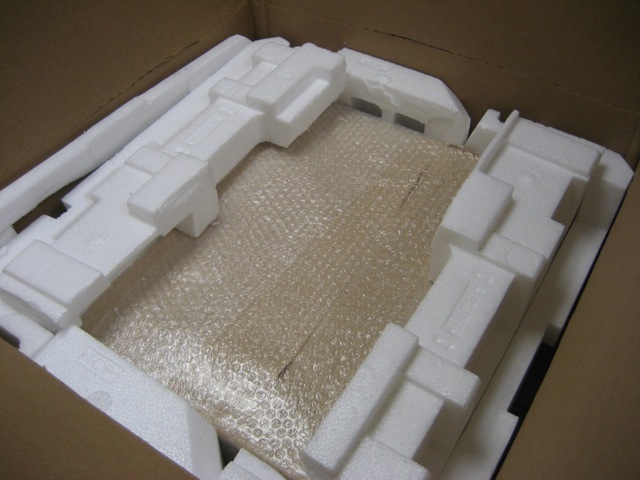 Much of the packing material can actually be recycled material as long as special care is taken. Here are two actual examples of the way OMI insures that you receive your facsimiles in new and perfect condition. 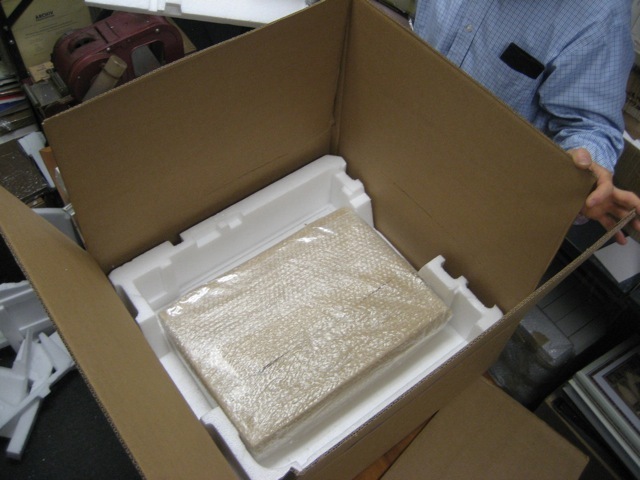 It doesn't matter if the book's value is $150 or $10,000, the procedure and care taken is the same: sealed in plastic, good quality cardboard, extra space for "bumper" material (recycled styrofoam is the best but plastic bubble wrap also works), and very importantly, the book should never touch a corner of the box. 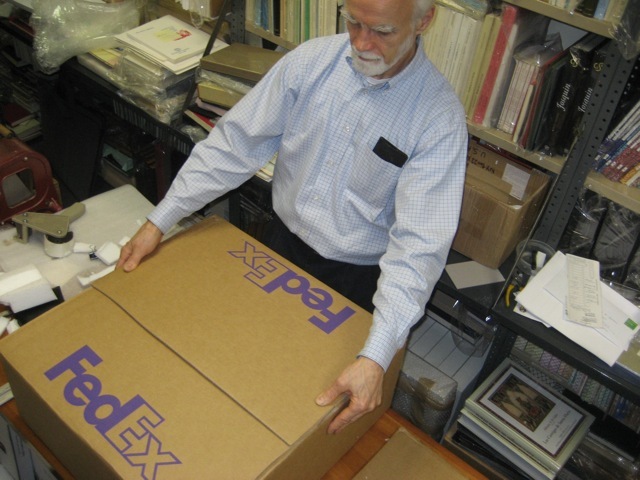 For packages where there are several books of different sizes, sandwich the large one in between smaller ones. 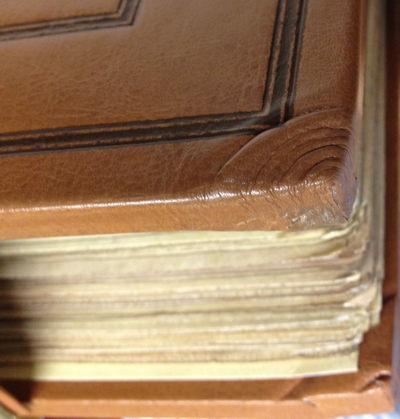 The particular book illustrated on the right—with a weight of 30 lbs—was received in damaged condition from the publisher. 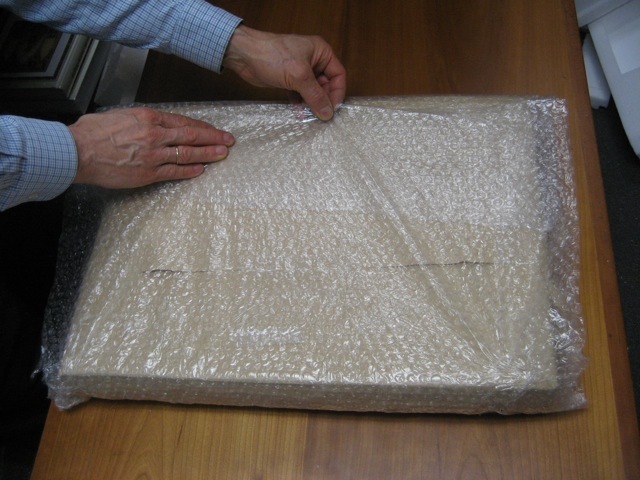 Although it was wrapped in plastic bubble wrap and was completely protected against moisture, it was placed unfortunately into a flimsy cardboard box inappropriate for the immense weight of the book, without any space for bumper material; the consequences are predictable. It's like Russian roulette. 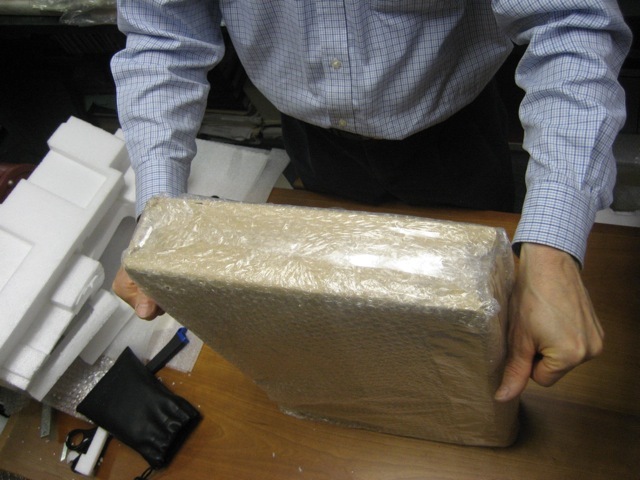 A badly packed book may arrive perfectly, and may not. Why take the chance?